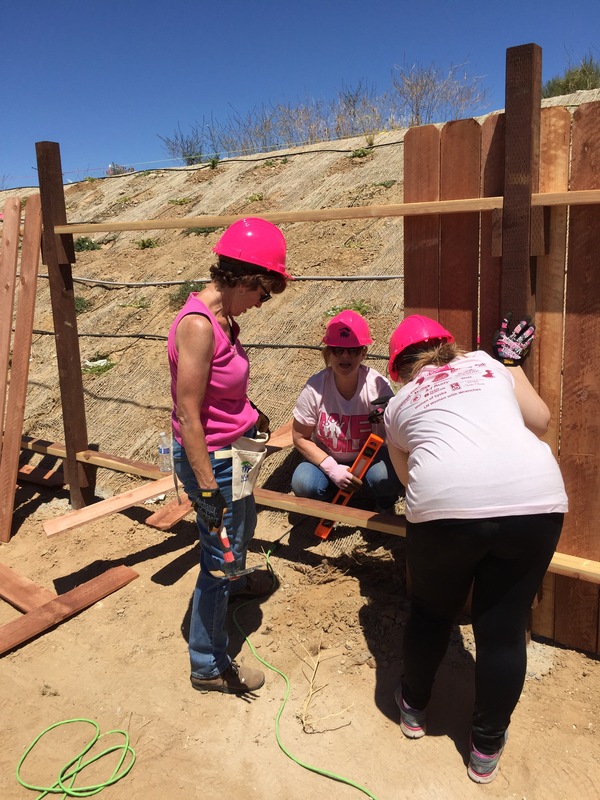 Last year about this time (not a coincidence) I shared pictures of our annual Habitat for Humanity WE (Women’s Empowerment) Build. 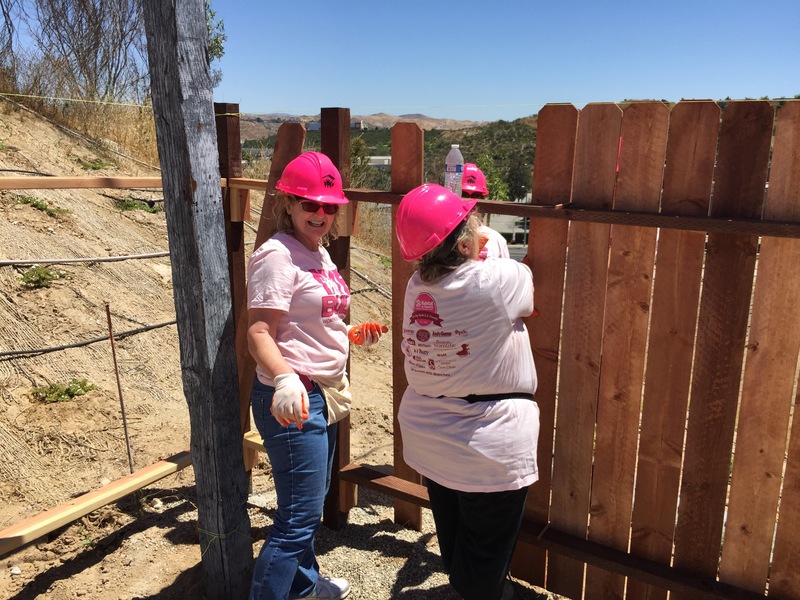 This year we once again had something like 300 women out on our Santa Clarita construction site, working to put low-income veterans into homes. 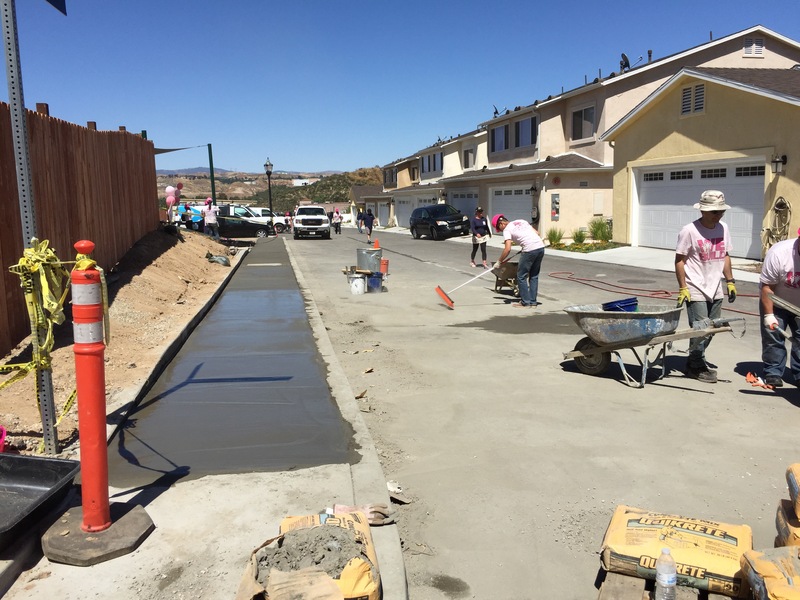 There were a couple of groups pouring concrete, including this group putting in a stretch of sidewalk. Other groups poured curbs and V-ditches (for drainage). 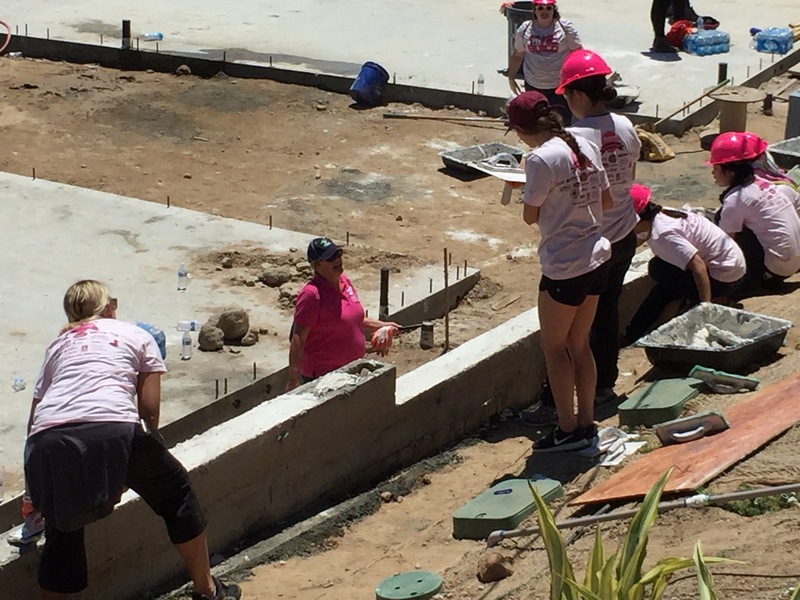 One group was putting stucco on retaining walls. Little in the world I love more than getting up at 5AM, except maybe hitting myself in the face repeatedly with a flaming ball peen hammer! …when all that was up were the posts and cross braces which had been installed earlier in the week. 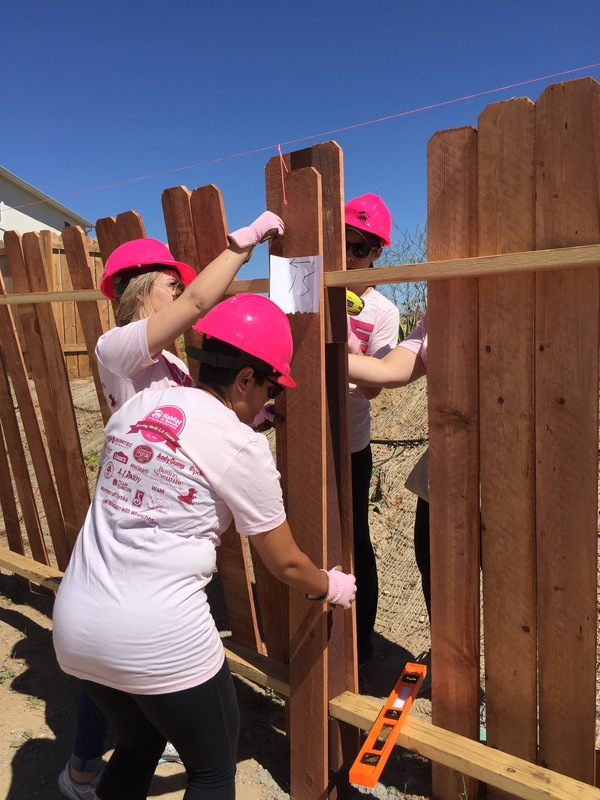 We had teams of four women, each responsible for building about 40′ of fencing. We used screws for the assembly, with the power drills being both easier to use, cheaper, and much safer than nail guns. As with much of the work done at a WE Build, women who had rarely (if ever) done this sort of construction work were pros as it within a couple of hours. Keep it level with the plumb lines at the top, keep the spacing consistent, keep it squared up and level. 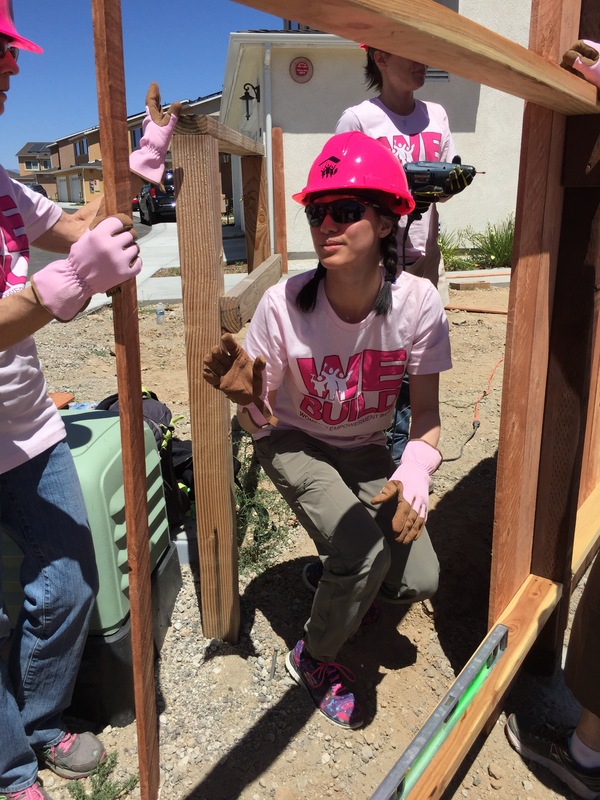 While it may have taken a half hour or more to place the first two or three planks, by lunch time the teams had turned into lean, mean fencing machines. 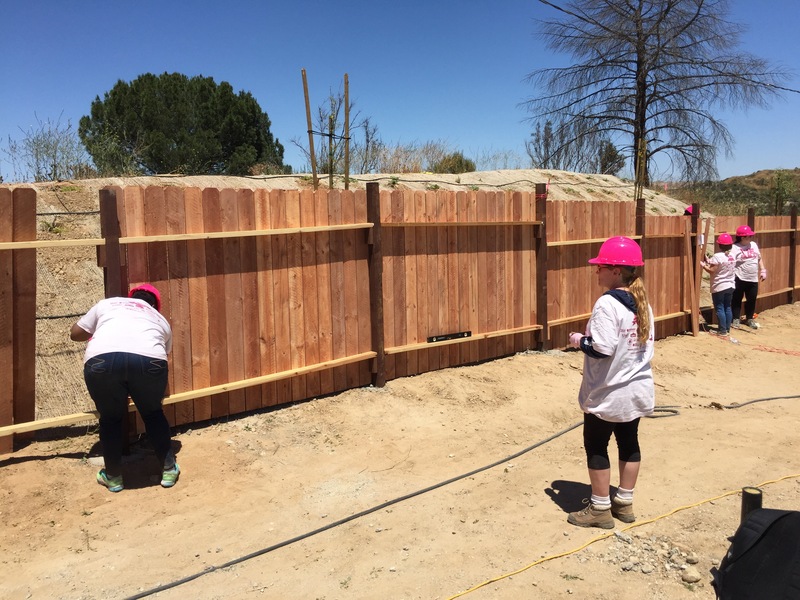 By the end of the day, hundreds of linear feet of fencing were done and we had all actually moved beyond the initial goals and were well into the “bonus” section of fencing – and coming damn close to finishing it as well! 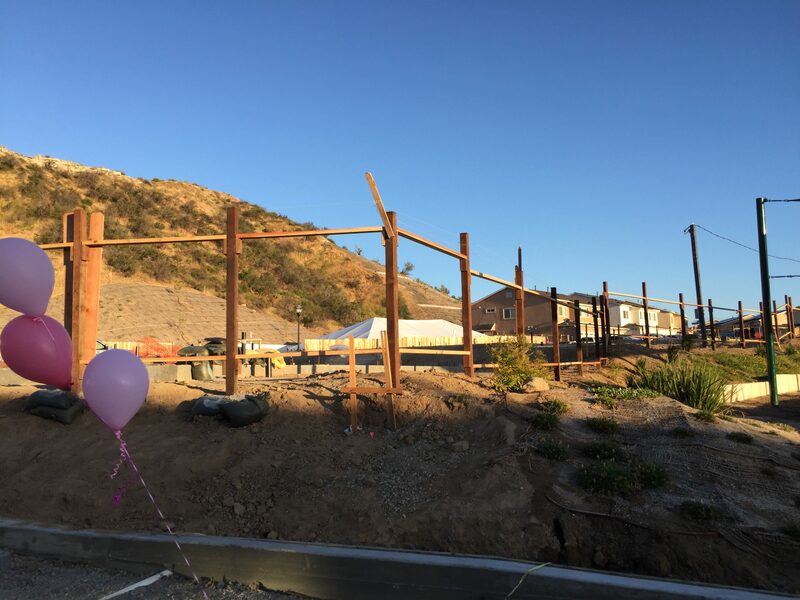 Between all of the different work teams, not only did the donations for the event add up to many tens of thousands of dollars, but the work done was worth almost $100,000 that we would have otherwise had to pay to a subcontractor! A good time was had by all! And I might have picked up enough sun to leave me still re-radiating in the infrared as bright as a quasar.